There is a CBD (cannabidiol) mania going on in the cyber-world right now. This highly-regarded, hot-selling natural remedy is primarily being used to relieve pain, anxiety and depression. It is also believed to have neuroprotective effects and may help slow down or improve the symptoms of neurological disorders. Although clinical evidence for its efficacy is still limited, there is a compelling amount of positive anecdotal evidence suggesting that CBD is at least worth trying for people suffering with pain, anxiety or other mental problems. 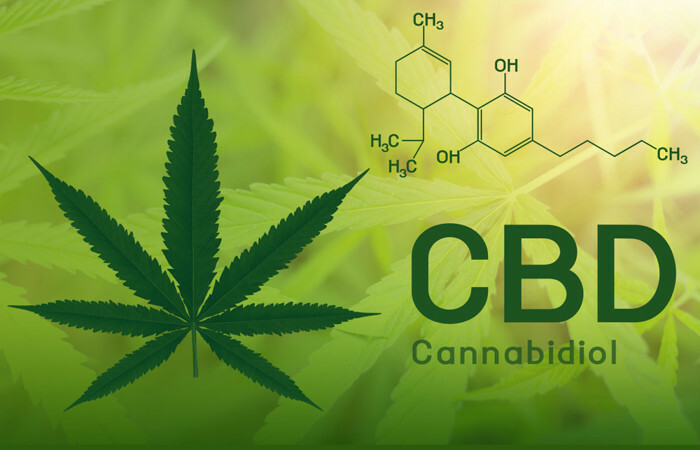 CBD products are available in different forms; oil, capsules, powder, creams, gummies, etc. But there is one lesser-known kind of CBD products, and that is herbal teas. CBD-infused herbal teas often include one or more savory and healing herbs that can provide added health benefits. If you are not a fan of swallowing capsules, you might find herbal teas quite effective, and enjoyable to consume at the same time. Where to Buy Herbal CBD Tea? While there are countless CBD vendors online, not many of them sell herbal teas. One of the best places where you can source multiple herbal tea products is called Buddha Teas. Buddha Teas offer quality products and five-star customer service. They have recently added multiple flavors of water-soluble CBD tea, and these quickly became top-sellers on their online store. Check out the official Buddha Teas website to learn more. If you are a tea junkie, you’ll love this website! There are many herbs that are traditionally used to promote relaxation and sedation, and such herbs make a perfect healing combination together with CBD. The following are among the best and most beneficial options of herbal CBD teas. Chamomile is an aromatic herb and one of the oldest herbal remedies traditionally used in many countries around the world. Chamomile tea is often touted as a natural sedative that combats anxiety, depression and sleep problems. Science confirmed these benefits as well as other potential health benefits of this herb. Peppermint is a hybrid mint plant that is mostly found in the Mediterranean region, where it is widely used as a culinary and medicinal herb. Peppermint has a tall list of suggested therapeutic benefits; from aiding digestion, to calming and relieving stress, to enhancing memory and mental function. Whether it really works or not still remains to be clinically evaluated. Meanwhile, you can’t go wrong enjoying the pungent, minty taste of this savory herb with your breakfast, a snack, or even on its own! Matcha is a special type of green tea traditionally used in Japan and China. Matcha is basically green tea leaves that are ground into a fine powder. Green tea contains powerful antioxidants and it is believed to help support mental wellbeing. It also contains the natural stimulant caffeine, making it a great alternative to coffee. Another beneficial compound found in green tea is the amino acid L-theanine, which has been shown to reduce stress and anxiety. L-theanine and caffeine is a popular combo in nootropic supplements, which is claimed to improve cognitive functions and performance. Turmeric is a very popular, vividly yellow spice that people from all around the globe use in their cooking. But it is also used as medicine and has been proven to possess medicinal value. Some studies found that turmeric may help improve symptoms of Alzheimer’s disease and other neurological disorders. It has also shown significant anti-inflammatory and antioxidant effects, and may even help fight cancer.